Watch this excellent video from the Cary Institute about the threats to the health of our forests from invasive pests and their suggestions about what we can do to halt them. 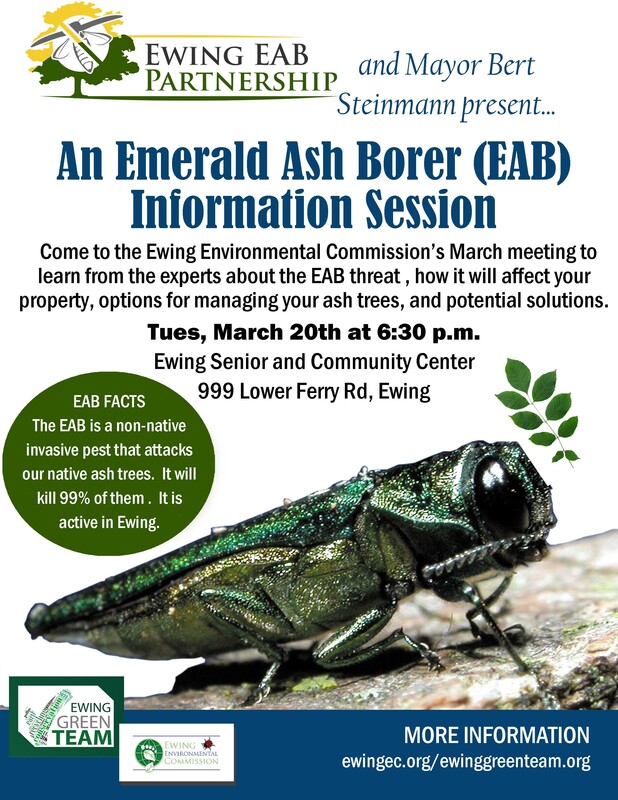 On February 16 at 6:30PM at Council Chambers in Ewing’s township offices, the Environmental Commission’s monthly meeting will be spent on learning more about the Emerald Ash Borer (EAB) threat to the health of our all our native ash trees. This pest, first found in Michigan in 2002, reached New Jersey last year. 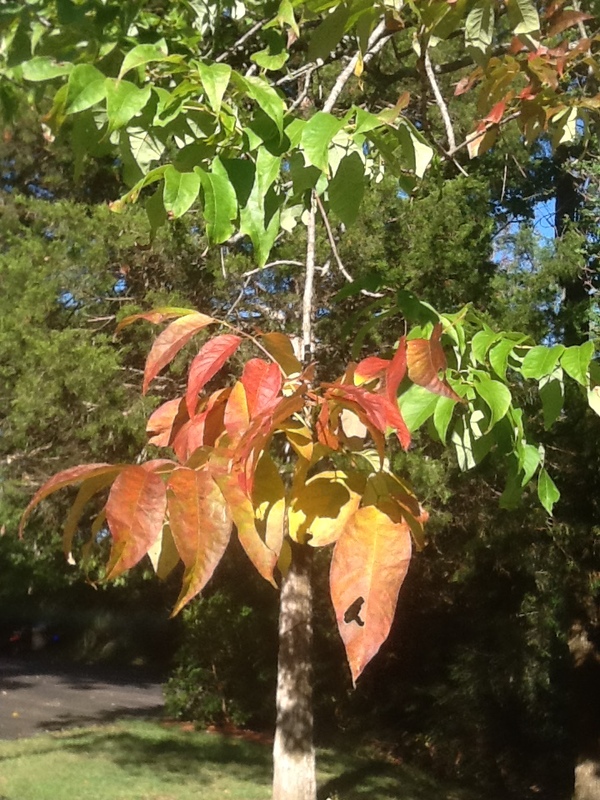 Without natural predators to destroy this pest, our entire ash population is at risk. A Rutger’s Rapid Ash Survey of Ewing’s Ash trees on public property last summer identified close to 900 Ash trees in parks, along roadsides and elsewhere and concluded that the EAB was a real threat to Ewing’s tree canopy as Ash trees on public and private property were all going to be affected, and soon. 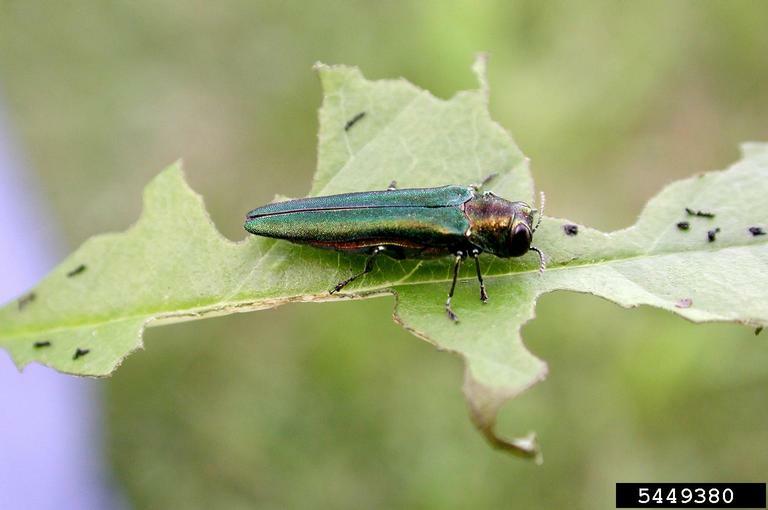 To learn more about the EAB threat, and possible remedies, the Environmental Commission has invited a number of people with specific knowledge of the threat, and how it might be addressed, to give informational presentations. Bill Brash, NJ Certified Forester (former Executive Director of the Mercer County Soil Conservation District) helped Plainsboro address the issue last summer..
Dan Dobromilsky, Licensed Landscape Architect of West Windsor Township, who was key to their addressing the issue last summer. Scott Tapp, Bartlett Tree Experts, which has developed and applied plans to remediate against the threat in this area. Hasan Malik, Tree Authority LLC, a nursery owner who has been instrumental in the selection of trees to replace stricken Ashes. We look forward to welcoming you to this informational meeting about the EAB threat to Ewing Township. 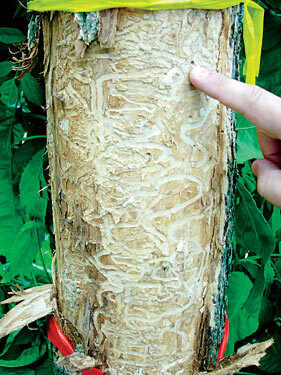 For more information and details about this pest, please check out our Emerald Ash Borer page. The Ewing Environmental Commission welcomes suggestions for Trees and other Topics from all Ewing residents. 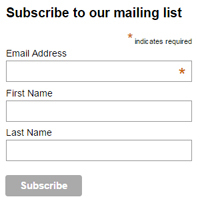 To email suggestions or questions email us at eec@ewingnj.org. To calculate the value that trees add to your property, go to treebenefits.com/calculator.